American Gwen and her Irish cousin, Findabhair, have long planned a summer of backpacking around Ireland, visiting sites out of the old legends of fairy folk. 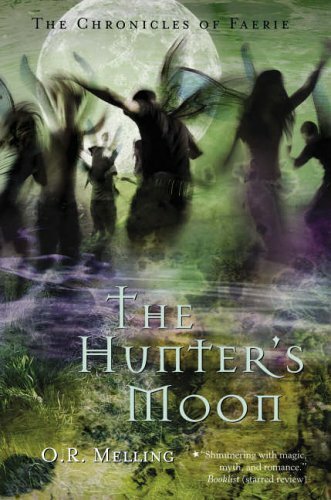 Little do they know that it is the summer of the Hunter's Moon, a dangerous time for mortals who meddle with the kingdom of Faerie. One night, camping out on old ruins, Finn is kidnapped by the Faerie king, who wants her for a bride and possible sacrifice. It is up to Gwen, the more indecisive of the two, to rescue her cousin. Beautifully written, romantic, exciting, and evocative of both modern-day and mystical Ireland, this is a treat for girl fantasy readers.